Organic Prairie takes pride in a robust quality and food safety program that goes beyond the industry norm in assuring safe, wholesome, delicious products. In addition to organic certification, the cornerstones of this program include monitoring and third-party auditing of our co-packers for good manufacturing practices, testing of the processing environment and the raw materials, testing of finished goods, and the use of high pressure processing (HPP) for some ready-to-eat products. The National Organic Program (NOP) organic standards prohibit the feeding of ANY animal by-products to cattle, hogs or poultry. 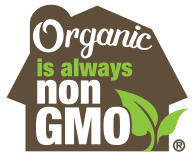 Organic Prairie has abided by this standard, which is more stringent than the FDA feed ban, since our business began in the late 1990s. We believe this broad ban provides the strongest possible defense in the industry against the transmission of bovine spongiform encephalopathy (BSE, a.k.a. mad cow disease). Most Organic Prairie cattle and hogs are gathered at a collection point for transport to harvest. As an additional quality control, Organic Prairie staff work closely with the collection point staff to identify and reject any animal that does not meet CROPP’s healthy animal standards. Some livestock are delivered direct from the farm to the slaughter facility. In either case, personnel trained in humane handling verify the good condition of the animals as they are received at the slaughter facility. Organic Prairie maintains long-term relationships with independent trucking firms to haul livestock. These transport companies have proven their commitment to careful, mindful hauling of livestock, backed by their signed affidavit that they will uphold Organic Prairie’s standards. Among these are trailer cleanliness, protection from the elements as needed, and limits to the number of hours livestock can be transported without a break for water, feed and exercise. Organic Prairie works exclusively with federally inspected harvest (slaughter) plant partners that are certified for organic processing. Most importantly, all of our harvest plants undergo a rigorous annual third-party animal welfare audit against measurable standards that exceed USDA-FSIS requirements. 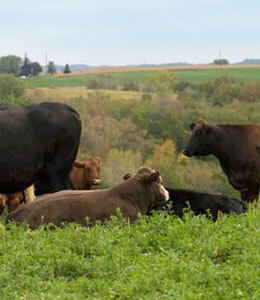 Organic Prairie’s primary cattle harvest facility processes just 60 head of cattle per day. This is a relatively slow speed for moving and handling livestock compared to most of the industry today, which means less stress on the animals and the people handling them. The facility receiving area has been designed according to Temple Grandin’s humane harvest facility guidelines. Organic Prairie insists on continuous transparency, and the plants we work with actively embrace transparency. In fact, our primary cattle harvest facility was dubbed the “glass abbatoir” in Michael Pollan’s best-seller, The Omnivore’s Dilemma. In this facility there is an observation window allowing for all operations to be openly observed. There are also video cameras in all areas of the plant. Organic Prairie staff has access to the harvest of our cattle by means of frequent visits to the plant, and when that is impractical, by means of video feed over the web-cam, for which we have confidential access. Few plants in the industry allow continuous video feed in these areas of their plants, so this is an especially high level of transparency. “Test and hold” is an industry best practice recommendation that has been and continues to be Organic Prairie’s standard practice. Instead of spot or random testing, we test every batch, every day. If we detect something of concern, we can isolate it immediately. We test raw materials and finished goods. Because “test and hold” is only a recommendation and not a regulation, some other producers in the industry do not practice “test and hold,” which has resulted in recalls and illnesses that could have been prevented. Pathogenic strains of E. coli, such as O157:H7, are the major concern for raw ground beef. Six new strains of E. coli have also been identified as contaminants. Organic Prairie tests each lot of raw beef for all seven strains using a sampling method that exceeds the N-60 industry standard. 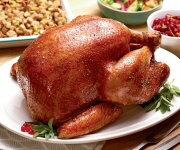 Salmonella and listeria are the major concerns for ready-to-eat products. All Organic Prairie ready-to-eat products are either tested for these pathogens, or they undergo high pressure processing, which is a post-packaging process proven to eliminate these pathogens. 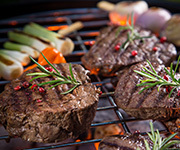 Note: Fully cooking all ground meats is the consumer's responsibility and is the final line of defense against food-borne pathogens and cross-contamination. Testing along with “test and hold” are best practices, but do not prevent all foodborne illness. Learn how pasture-based farming makes us happier and healthier. 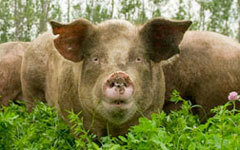 By not using antibiotics as feed additives, organic farmers protect our families and the earth. Don’t be misled by “Natural” labeling—learn about the big differences between organic and “natural” meat. 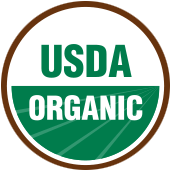 As pioneers of organic, we helped write the national organic standards required by the USDA Organic seal. Learn what organic certification means for you and your family.